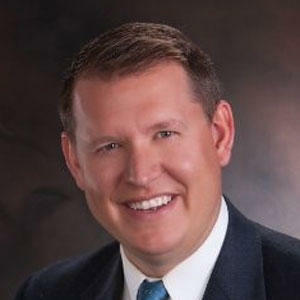 Andrew R. Crouch is Senior Vice President, and Senior Trust Officer at Old Second Bank. Andrew provides guidance to individuals and families regarding the preservation and transfer of their wealth over multiple generations. He focuses his practice on the development and implementation of trust, estate, wealth transfer, tax planning, guardianship, real property transactions, charitable planning, and fiduciary planning for high-net-worth individuals and families. He advises on several aspects of the fiduciary practice, including business growth, risk management, trust counsel, and account acceptance. Andrew received his Bachelor of Science degree in History and American Studies from the University of Kansas. He also has a Juris Doctor degree from Valparaiso University School of Law. Andrew has been selected as an Emerging Lawyer in the practice categories of Trust, Will, & Estate Planning Law and Closely & Privately Held Business Law. Each year, fewer than two percent of lawyers under 40 years of age in Illinois receive this honor. In addition to his time practicing as an attorney, Andrew taught the course “The Laws of Property” as an Adjunct Professor. Andrew is admitted to practice law in the State of Illinois. Old Second National Bank is a community bank dedicated to serving the current and future needs of the families and businesses that make up the communities in which we live and work.